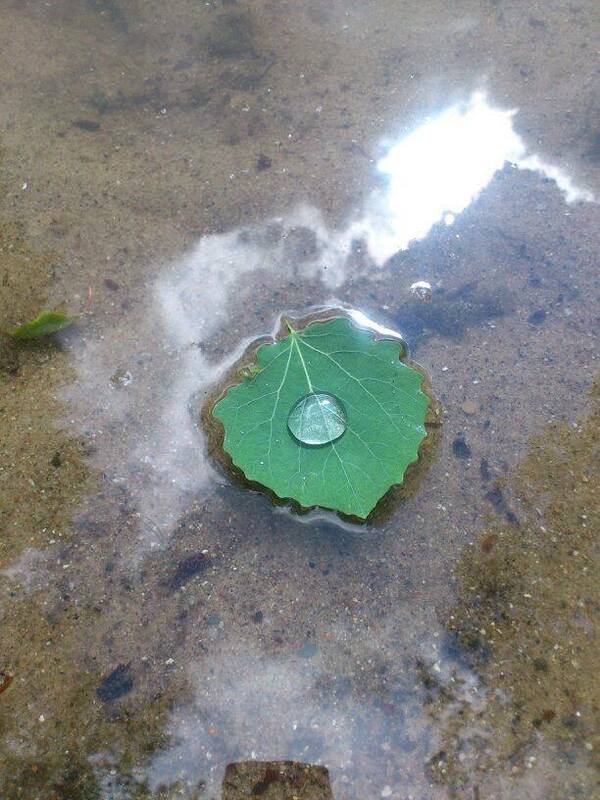 A leaf with a water drop on it, swimming in the water. Click to see a larger image. On the left site you can see a photo that my little 12 years old cousin did shot. I really like the scene with the leaf that is swimming in the water, carrying a water drop. To find something like this, you really need open eyes. Now that I say this, I really should have asked her if the water drop was already on the leaf or if she did put some water on it. But even if she staged the scene, it would just show creativity and that she has an eye for beauty things. It´s great to see her trying out photography. Who knows, it could become her passion and that would be pretty cool. The leaf image is a good start!